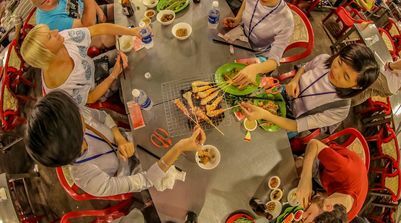 With a complex geopolitical history, the people of the northern Vietnamese highlands have shown great resilience and creativity to overcome hardship. This is evident in day to day life and reflected in the food which is both exotic and highly varied. 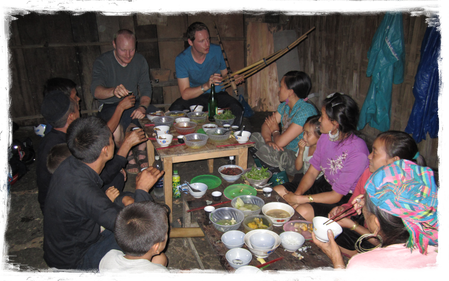 Our street food tour takes in some of the more unusual Sapa foods, many of which are foraged from the forest or collected in and around the rice paddies. This is undoubtedly one of the most unique and ethical experiences available in Sapa and is exclusive to ETHOS. Walk or ride to a minority home, cook and eat together with a local family. Share stories around the fire and simply get lost in the tradition and culture that surrounds you. 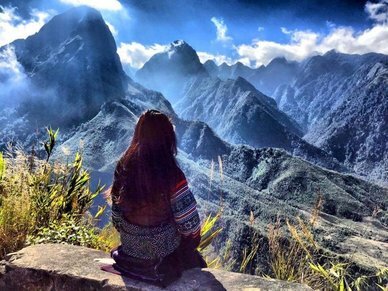 If you would like to read more about the experiences had by other travellers, view here.